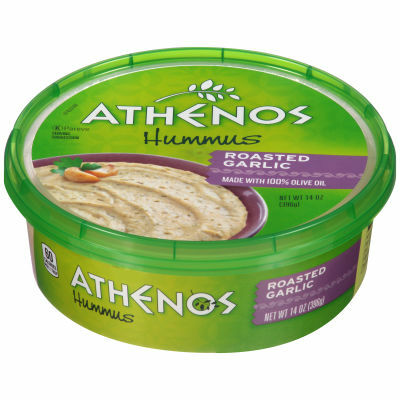 Athenos' Roasted Garlic hummus is made the Greek way – simply and with respect for the ingredients. Our smooth, flavorful hummus is a delicious option for any snack. Serving size 2 Tbsp (28g).